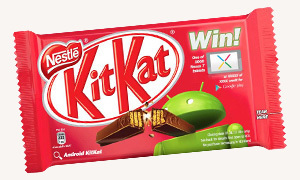 “Since these devices make our lives so sweet, each Android version is named after a dessert: Cupcake, Donut, Eclair, Froyo, Gingerbread, Honeycomb, Ice Cream Sandwich, and Jelly Bean.” – Taken from the Android KitKat page. Okay, that is Google’s take on it, or at least what they want us to believe. I think it is more subtle and clever than that. Food is an important part to life. It is central to so many things. Family dinner is a time to sit down, relax with a good meal and spend some time with your loved ones. When you go on a date, it is often a dinner date, because that resonates with our basic desires. Without food we would starve and a dinner date is a result of our ancestors showing their better halves that they can provide for them and be a good mate. As children we are given treats for being good and it is exciting! So, Android’s naming convention resonates with all of that. Exciting treats as children, after dinner dessert (which could lead anywhere) on a date and something nice for the whole family to enjoy after a big meal. What about Apple and Blackberry? To a smaller extent Apple and Blackberry aim to achieve the same results with their naming. In Apple’s case it also brings connotations of knowledge, temptation and sin (being thrown out of Eden), which is both rewarding and exciting. That is Apple though and not their mobile devices specifically. Instead we have i this and i that and… well it sounds selfish on it’s own. iOS and iPhone and iPad just don’t have the connotations that Gingerbread has for example. Then we have Blackberry which reminds me of late summer, when you can pick fruit and eat it straight from the hedgerows. Android definitely has more diversity with all of those desserts and they have managed to build interest and hype purely based on it. You can buy Android toys and paraphernalia! Can you say the same about the latest Blackberry device? 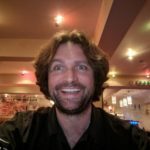 Google appear to be on to a winner with Android outselling all of the competition and maybe that is in part due to the scrumptious names they give their mobile OS. 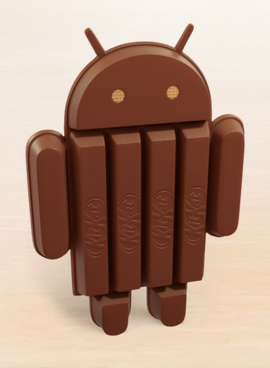 Which leaves one more question… Will the rise of Android KitKat finally see Apple and Blackberry crumble?